La Flor Dominicana 1994 20 years has passed since La Flor Dominicana's Litto Gomez and Ines Lorenzo-Gomez began their involvement in the cigar industry. Shortly after, the LFD brand we know and love today went into fruition, becoming one of the leading manufacturers of premium cigars in the world. 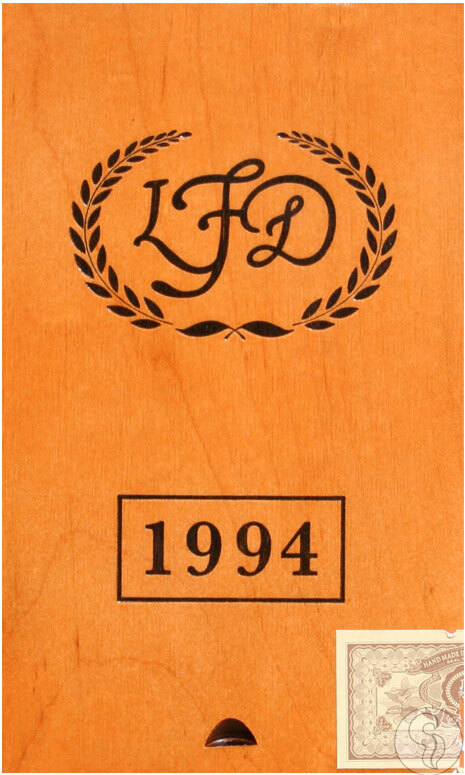 Celebrating Gomez's monumental 20 years in the cigar industry, LFD has introduced the La Flor Dominicana 1994. As one would expect, the cigar uses some of LFD's finest tobaccos, grown at their farm in La Canela, Dominican Republic. Surrounding the Dominican binder and fillers is a beautiful Mexican San AndrÃ©s natural wrapper. In true LFD fashion, the cigar boasts a full strength and a complexity to back it. This is indeed a high-end cigar, showing notes of earth, cedar, savory meats, pepper, and a touch of sweetness to tie everything together. A true top shelf creation worthy of celebration.